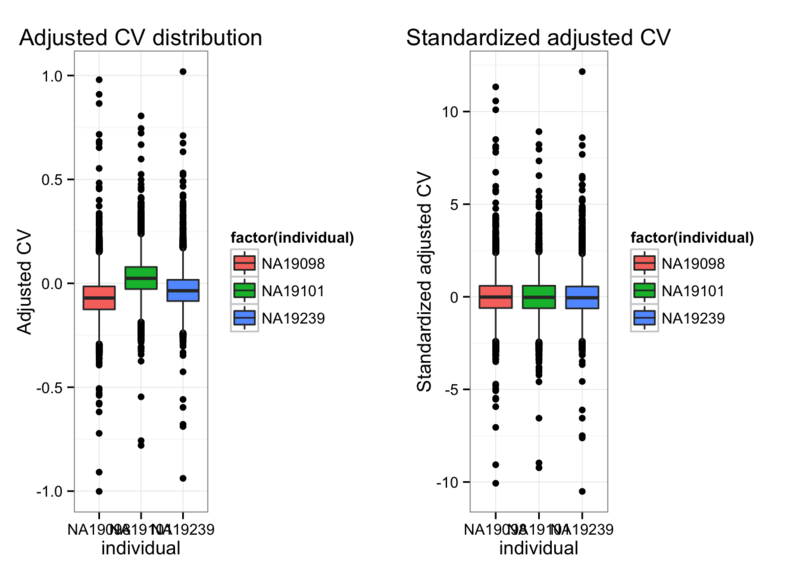 We computed similarity metrics to quantify similarity between individuals in coefficients of variation (after accounting for mean dependenc): 1) Sum-of-Squared-Deviation-from-the-Meidan (SSM), and 2) Sum-of-Absolute-Deviation-from-the-Median (SAM). 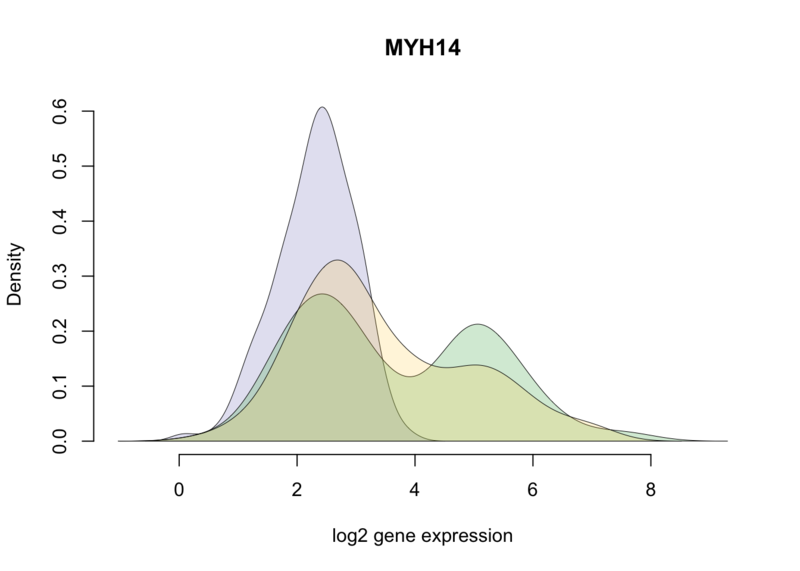 We ordered genes by these metrics and described genes with high and low similarity between individual adjusted-CV. We first compute the deviation to the median for each individual’s CV. Then, for each gene, we compute two meausures to quantify the variabilty of the CVs: sum of squared deviation and sum of absolute deviation. Then, to get a confidence of this estimate, we perform bootstraping within each individual; this step perserves the individual differences in mean and yet allow us to get a sample estimate of the variances. *Gene with the largest SSM (Sum-of-Squared-Deviation-from-the-median).